Culture Vultures – What Exactly Is It? Home Culture Vultures – What Exactly Is It? Culture Vultures – What Exactly Is It? Culture Vultures? It’s an as-and-when-required 'salon'-themed pop culture event, co-curated (at venues) by promoter/event organiser Andrea Keogh, and co-curated/hosted/presented (at festivals/venues) by me. It consists, essentially, of words and music. The ‘words’ part features a public interview, and there is also some form of spoken word/comedy and music in the blend. Past events have featured music from September Girls, Cat Dowling, Hattie Webb, Lisa O’Neill, Join Me In The Pines, Nick Kelly, Ham Sandwich, Jack O'Rourke, The Riptide Movement, Cathy Davey, Little Green Cars, We Cut Corners, Heathers, The Pale, and Divine Comedy; spoken word/comedy include Colm Keegan, Eleanor Tiernan, Fred Cooke, Doireann Ni Ghriofa, Colm O’Regan, Erin Fornoff, Natalya O'Flaherty, Kerrie O'Brien, and John Cummins; public interviews have included playwright Mark O’Rowe, actor Liam Cunningham, Love/Hate creator Stuart Carolan, comedy writer Arthur Mathews (Fr Ted, Big Train, Toast), Neil Hannon (of Divine Comedy), Oscar-nominated film directors Lenny Abrahamson and Tomm Moore, author John Boyne, actress Antonia Campbell-Hughes, sean-nos singer Iarla O Lionaird (of The Gloaming), Richie Egan (of the band Jape), visual artist Alice Maher, and performance artist Amanda Coogan. 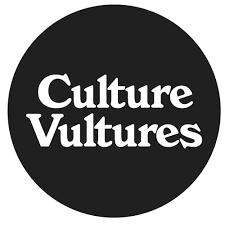 Culture Vultures also makes regular appearances at Irish music and arts festivals - these include Indiependence, First Fortnight, Winter Music Festival, Vantastival, Quiet Lights, and Groove - as well as popping up at bespoke events. Bespoke events have included exclusive interviews with musicians, actors, artists, performance artists, playwrights, authors, and film directors. Culture Vultures at festivals is a different, snappier affair than it usually is in a venue with four walls and a roof: it's more jam-packed because we take into account that the more people we have on the line-up the better it is to grab festival goers' roaming attention spans. The other benefit of Culture Vultures at festivals is that it provides (across a running time of about two hours) something a little bit different for the curious festival goer to experience. If you think Culture Vultures would be something you'd like to see at your festival or venue - or if your business or company wishes to stage a more bespoke-style event with a broader remit or brief - please get in touch (tclaytonlea@gmail.com).